Avery Hall Investments is in contract to buy the parcel at 120 Fifth Ave (Sterling Place). and hopes to close on the deal in the second half of 2016, a spokesman for the developer said. The property is now home to one of the largest grocery stores in Park Slope and a sizeable parking lot. 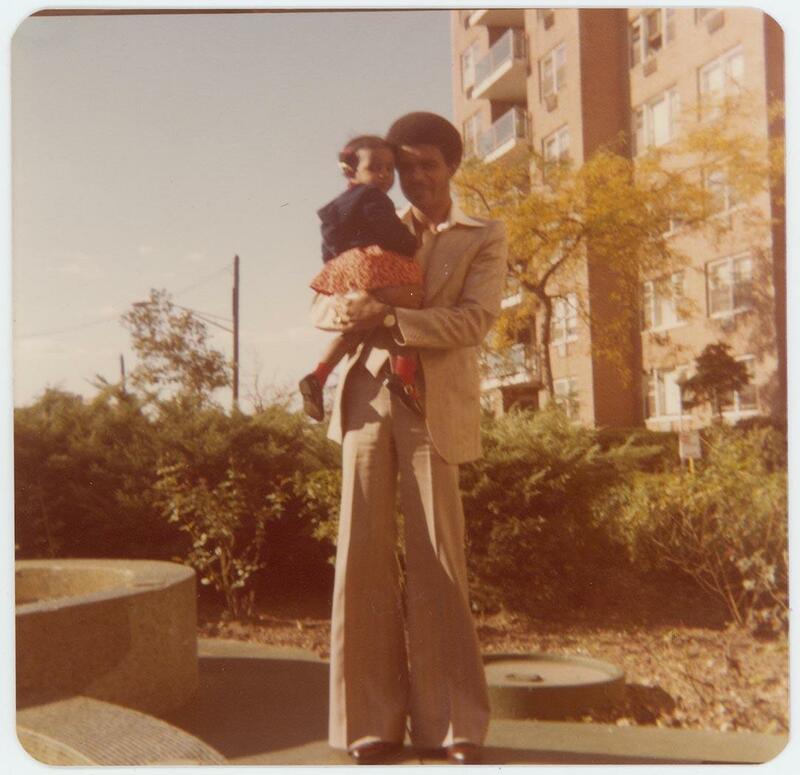 And in climate vein, let's go back to Stevie, in 1979. 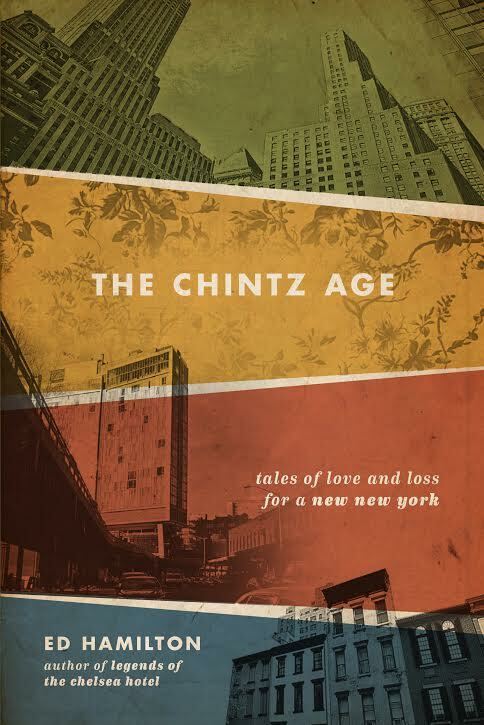 At DUMBO's Powerhouse Arena tomorrow evening, the NYC launch of author & blogger Ed Hamilton's latest book, The Chintz Age: Tales of Love and Loss for a New New York. In seven stories and a novella, Ed Hamilton takes on this clash of cultures between the old and the new, as his characters are forced to confront their own obsolescence in the face of a rapidly surging capitalist juggernaut. Ranging over the whole panorama of New York neighborhoods—from the East Village to Hell’s Kitchen, and from the Bowery to Washington Heights—Hamilton weaves a spellbinding web of urban mythology. Punks, hippies, beatniks, squatters, junkies, derelicts, and anarchists—the entire pantheon of urban demigods— gambol through a grungy subterranean Elysium of dive bars, cheap diners, flophouses, and shooting galleries, searching for meaning and a place to make their stand. 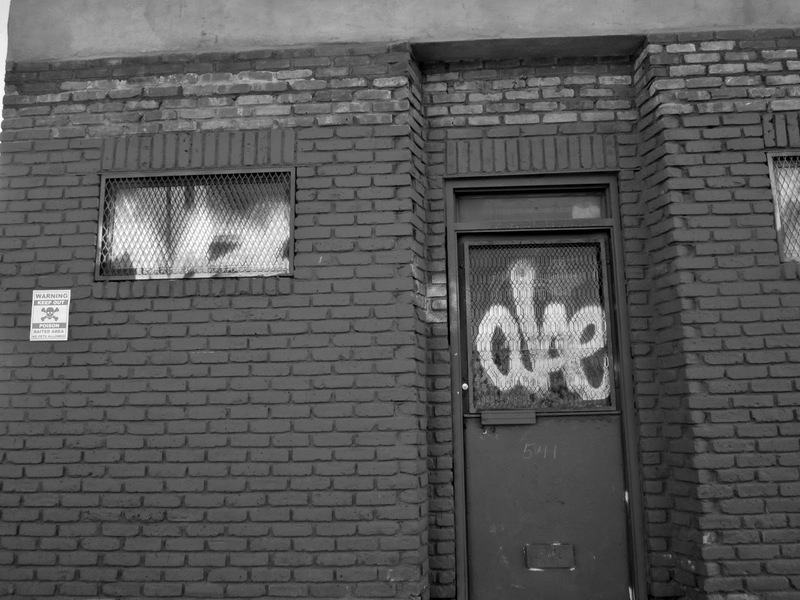 Hamilton's stories examine the city in the context of gentrification, or, as Vanishing New York's Jeremiah Moss would call it, hyper-gentrification - an accelerated, corporate-driven stratagem to re-create both the city's landscape & its population. They involve characters confronting issues we're all too familiar with - rising rents, closing businesses & a rapidly altering streetscape. Hamilton's earlier book, Legends of the Chelsea Hotel: Living with the Artists and Outlaws of New York's Rebel Mecca, is now in its eighth printing. 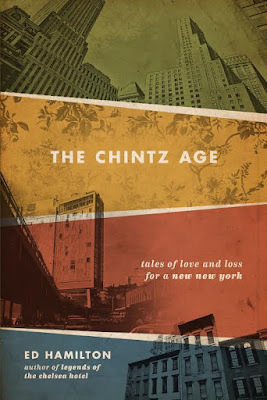 He is also the author of the Living with Legends: Hotel Chelsea Blog, & has been a resident of the Chelsea since 1997. You can read a Sunday Routine Times piece on Hamilton here. Over the last several months there have been clearance sale signs in the window, though at first the sales were only for select merchandise. By now, everything's cut-price, and the stock is visibly shrinking. 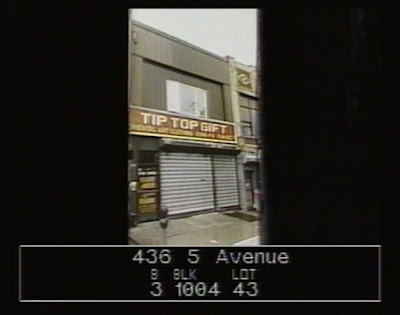 Tip Top Gift, the martial arts & military goods store, is likely closing soon, and the reason's a typical one - a rent hike. Tip Top has been around since 1981, and its storefront has that vintage 70s/80s style. It's -ip Top today. There were stores like this all over the city once, full of self-defense weaponry, army fatigues, military insignia & t-shirts - the latter emblazoned with 60s, 70s, 80s bands, or surly, jokey profanities. A guy's kind of a store, mostly. Situated right next to Smith's Tavern, and two businesses up from 9th, it had the perfect spot. I love the intersection of 9th & Fifth, a crossroads locus for shopping, transit, preaching and panhandling. The bar, the diners, the bargain stores. It still bears traces of its grittier past. Just a few weeks ago, I was thinking about the Tip Top block's unusual share of older businesses, but most of these, like Smith's, or Square Stores, own their own buildings. Tip Top, and the Record & Tape Center, across Fifth, are not so lucky. The record store has been present on Fifth for fifty years, and at its current location since 1971. Since the end of its last lease it's been month-to-month. There's an Ideal realty listing for a commercial space right around Tip Top. 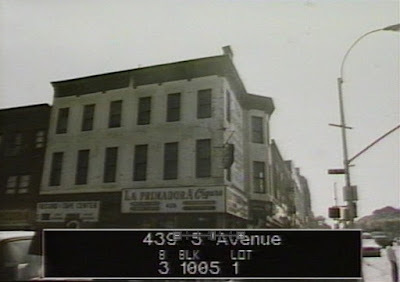 The address isn't specified, but the store's there in the photograph. $12,500 per month. News came in September of a 12-story rental apartment building set to replace a row of eight small apartment buildings at 541 - 555 Fourth Avenue. 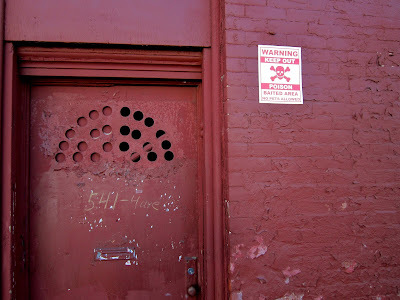 The rat poison signs went up several weeks ago, and the demo plans for 541 (see below) was approved earlier this week. I watched the buy-up process for a year or so prior to development announcements, and you can follow the story (with links back) here. Goodbye walk-up apartments for regular residents, and goodbye yet another piece of sky. Hello to a building with a pet spa! Correction (3/14/16) The demo permit was in place for 541. The other seven buildings got demo approval on 3/11/16. The Gowanus Pathmark supermarket closed on Sunday, and there's no word yet on what business will replace it. Right next door though, at 25 12th, a new business is opening shortly (DNAinfo). Retro Fitness Park Slope is a national franchise, with gyms in the North-East, Mid-Atlantic, Florida & Texas. A typical Retro franchise offers a broader range of services than the average gym, and these include cardio and circuit-training, a Retro Movie Theater, a Retro Juice Bar, Fierce Nutritionals, tanning, childcare, and a shop selling Under Armor apparel. According to the website, membership is $19.99 a month, and the gym space is large - typically 12,000 to 20,000 square feet. Check out the website and watch a promotional video. Quite a bit of coverage recently on the news that an Amazon distribution center is coming to Salmar Property's Liberty View Industrial Plaza, in Sunset Park. From the local reports I've read so far, only the Brooklyn Paper pays much attention to Amazon's dubious reputation for the way it treats its employees. More jobs for the neighborhood, certainly, which should be a good thing, but how are those work conditions? Paddy's of Park Slope is now open at Fifth & 13th. The Irish bar replaces barely-there-at-all Brooklyn Voodoo Lounge, which came in after metal bar Lucky 13 Saloon moved to Gowanus. Girasol Bakery, at Fifth & 21st, got an interior renovation earlier this fall, and now has new exterior signs. While I kind of miss the old interior of the bakery, the outside awning was not especially lovely. The new look is big and bold. Back in April I noticed that commercial space at 540 Fifth, the new building between 14th & 15th, was available for lease. Readers might remember that new construction at 540 slid by as an "enlargement," when actually the previous building on site was demolished. No permits for demolition or excavation were ever filed. Not so very unusual, perhaps. Anyway, according to the Commercial Observer, the first tenant in the new building will be international fitness chain iLoveKickboxing. iLoveKickboxing will occupy 4,500 square feet of the building (ground floor and basement). This part of Fifth is not short of martial arts-based studios, with Amerikick, Brazilian Jiu-Jitsu and United Tae Kwon Do all within a couple of blocks of 540, though the incoming studio looks it will lean more towards more upscale twenty and thirty-something fitness workshops than traditional martial arts training. I always feel like a bit of a jerk taking pictures at an exhibition, especially when it's crowded, and anyway, I only had a little camera with me. So just a few, quick, surreptitious shots. The Brooklyn Museum show, Coney Island: Visions of an American Dreamland, 1861 - 2008 , which opened on Friday, is an intoxication. It summons up a myriad of mixed emotions & desires: wonder, nostalgia, the urge to escape to a world beyond the stale rituals of convention. Coney, the very capital of an old, alternate New York City. I'd like to go back to see the show on a weekday, when the galleries are quiet, but the Sunday crowd was a good one, moved to gasps of recognition and sighs of pleasure at the sight of bygone sideshows, long-departed rides, and the endless tide of bathers - generation upon generation - drawn to the crowded or deserted sands. Every one of us could find a picture or a painting that best represents the Coney Island of our own, perfect memories, or another, from an era beyond our own, that calls to us with all the illogical allure of a half-recalled dream. Who needs reality? In late August I learned about the impending closure of the Gowanus Pathmark supermarket. With A&P filing for bankruptcy the leases of all of its holdings, including the Pathmark chain, were to be auctioned off. While many of the auctioned stores will remain as grocery stores, the 12th St. Pathmark has not been so lucky. A mystery company, Manichevitz Holdings LLC, put in a bid of $6.3 million, and even though it was pretty clear from the start that the company had little intention of replacing Pathmark with another supermarket, the bid was accepted. Despite the appeal of the Hamilton Plaza owner, who wanted to keep a supermarket on site, the bankruptcy judge, Judge Robert D. Drain, approved the sale. According to DNAinfo, the company acquiring the Gowanus lease (along with another Pathmark store in Borough Park), under the Manichevitz name, is real estate development company Joyland LLC. Joyland managing member, Joel Wertzberger, told DNAinfo that the company was looking at offers from prospective tenants, including a shipping company, "an international clothing brand," and a wedding hall company, but later suggested that a replacement supermarket was still a possibility. Possible, but unlikely, I'd guess. When I learned that the 12th Street Pathmark was closing this weekend, I walked down yesterday for a final look around. No Joyland here. The place was almost empty of its inventory, and half of the aisles were cordoned off with yellow tape. Remaining items were grouped together on shelves and tables closest to the registers. A sorry miscellany of random, mismatched goods huddled together awkwardly - bottles of hair dye next to coffee cans, packets of cassava crackers resting on teething rings. The best was long gone, it seemed, but at 70% to 80% off there were still buyers, loading shopping carts with pasta, cookies, condiments. This was no Whole Foods. Here budgets were carefully counted out in dollars and cents. As I waited in line to pay for my purchases, the guy behind me, whose apron identified him as an employee, was joking around, gallows humor-style, with other workers. "What do we do with the uniforms tomorrow? Throw them in the trash or burn them?" Soon I was chatting with him too. As a part-time employee, ready to retire in a couple of years, he wasn't too worried on his own behalf about the store's closure. But what about the others, he said. What about the minimum wage checkout clerks? What about the butchers, who'd worked there for years, and were earning upwards of thirty dollars an hour? How would they support their families now? The promise of severance pay had been withdrawn, though the company top brass had lined their own pockets with fat, farewell checks. Beyond the issue of a supermarket closure , he felt the pressure of a bigger, failed system, with citizens disregarded, duped or distracted. He wished more people would speak up, protest, just do something. Big J's Wine & Liquors, still open for now. Plans have been filed for a five-story, twelve-unit apartment building at 715 - 721 Sixth Avenue (22nd Street). The development will include parking for six cars. 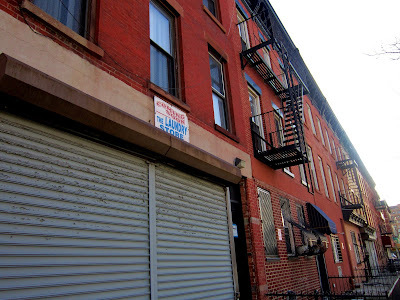 The development company is 715 6th Avenue LLC and the architect for the project is Werner Morath, of Loadingdock5. The one-story warehouse at 715-719 was formerly home to Lafayette Glass, and 721, the adjacent building, is a two-story frame home. Demolition plans were approved for both properties in June. 715 was sold to 715 6th Avenue LLC in December of 2013 for $2,800,000, and the deed was transferred this September to 715 6th Avenue NY Corp (same address) for $4,200,000. 721 was sold to 715 6th Avenue LLC in April of 2014 for $1,350,000 and the deed transferred, as for 715, for $1,100,000. There's a certain poetry there, no? The Barn Lofts, an eight-apartment building on Third Avenue, is a conversion of two mixed-use, three-story retail/apartment buildings. The new rentals are replete with stainless steel, quartz, pendant lighting, and exposed brick, and the location offers tenants a Gowanus lifestyle rich in all the pleasures of modern urban living: fine dining, cocktails, pilates, rock-climbing, shuffleboard, robot-building and antiquing. And I'm pleased to see that the BQE and the Prospect Expressway make it onto the broker's list of nearby amenities! The apartments are all two or three bedrooms. The 3 BRs are especially dorm-like affairs, with most bedrooms around eight feet wide, and living rooms as small as 10'X12'. Post-college living quarters? Since the apartments were first listed, in September, rents seem to have been reduced. Apartment 3A, first listed for $4,600, is now advertised at $3,900. 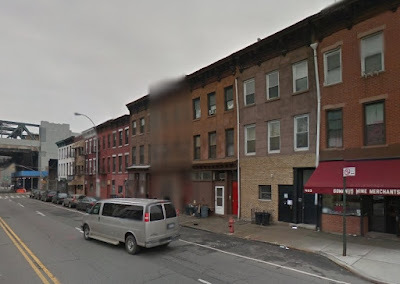 For some reason the Google view of this block is frozen in time at January '13, and 487 as was is shrouded from the viewer's prying eyes. After four hours of public testimony on Wednesday, City Councilman Steve Levin said he was still unsure whether to support a controversial proposal to redevelop the Brooklyn Heights public library. The proposal has the backing of the de Blasio administration but has generated a fierce debate among residents in Levin's Council district. Some are angry that developer Hudson Companies intends to shrink the library's footprint, others believe the so-called affordable housing won't actually be affordable and many are suspicious about the finances of the planned $52 million sale of a public asset to a private builder. Residents on both sides of the fight filled Council chambers to speak at the committee hearing, where members grilled Hudson Companies principal David Kramer and public officials about the deal. And there are more details on yesterdays's meeting at Brownstoner. As one might expect, Brownstoner commenters remain unimpressed by any opposition to plans for sale and development at Cadman Plaza. A community board scarred by past zoning battles voted down two key pieces of Mayor Bill de Blasio's affordable housing initiative Wednesday night, joining the tide of local groups pushing back against the proposals. The small, set back wooden house at 270 19th Street (Fifth & Sixth), is slated for demolition. Back in April, 270 was on the market for $1,450,000. It sold in September for $1,125,000. As yet, no plans have been approved for new construction. The City Council Subcommittee on Planning Dispositions & Concessions met today for its first hearing on the sale of the Brooklyn Heights public library at Cadman Plaza. News of any outcome from today's meeting is not yet available. The following terse and not-especially-informative email, sent out by Council Member Stephen Levin, arrived in my inbox the day before the meeting was to take place. Information on this project can be found on the Brooklyn Public Library's site here. Public testimony is invited. If you would like to submit a comment about this project directly to Council Member Levin, please use this form. No mention of a library sale here, and direction to the BPL site (hardly an unbiased source) is not exactly neutral. As the library is in Levin's council district, his say on the proposed sale will have considerable influence, but while he has expressed reservations about it, he has not indicated what his final decision will be. On a related library issue, the Brooklyn Paper reports on residents' reservations concerning the proposed library replacement in Sunset Park. These include fears about limited library space in a new facility (which will also include affordable housing) and lack of a firm plan for an interim library site. Part of the funding for outfitting a replacement library are dependent on the sale of the Brooklyn Heights branch. The developers would foot the construction cost, but the library system needs $10 million to outfit it with books and computers — that’s half the cost to build and outfit a new standalone branch, a library spokeswoman said. The Brooklyn Heights branch’s controversial pending sale would contribute $8 million, and the library system would kick in the other $2 million, according to committee documents. The Brooklyn Public Library and Fifth Avenue Committee will present their plan at a public forum at the Sunset Park Recreational Center on Seventh Avenue between 43rd and 44th Streets at 6:30 pm on Dec. 1. Community Board 7 will meet this evening to vote on DeBlasio's proposed zoning changes - Zoning for Quality & Affordability, and Mandatory Inclusionary Housing. The meeting will take place at 6:30 p.m. at 4201 Fourth Avenue. You can read more about the zoning proposals and the response of other community boards thus far, below. Our Streets Our Stories has a simple objective: to provide community members with the tools and technology to share their Brooklyn memorabilia and culture heritage materials with the world. Many items that can help tell Brooklyn’s story are sitting forgotten in apartments and basements all over the borough, being lost due to improper storage conditions and neglect. We want to encourage patrons to dig out these items and bring them to the library. We're looking for materials like photographs, fliers and documents from Brooklyn families, businesses, block parties, community organizations, and anything else that tells the story of Brooklyn. What makes this project different is that we're not looking to keep your items, just a digital copy. Here's how the project will work: Focusing on one neighborhood each month, we bring a mobile digitization lab (scanner, laptop and camera) to library branches and invite neighbors to bring in these items. Patrons don’t need any technical background; all scanning will be handled by us and our volunteers. Once digitized, all items will be returned to the patron, including a flash drive with digital copies. Patrons will also be invited to share copies with the Digital Public Library of America and on BPL’s own digital catalog. Our Streets Our Stories isn't just about digital preservation. 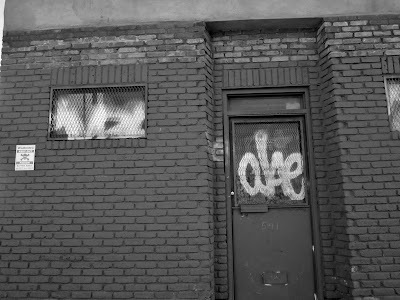 We want community members to be active participants in the effort to shape Brooklyn's history. By contributing and sharing materials they are choosing how their neighborhood will be represented and remembered, playing an important role in the democratization of culture heritage. This is a great opportunity to meet neighbors, share stories and engage with local history in a unique way. And from Brooklyn Connections, here are professional learning materials for a visit to Green-Wood Cemetery. If there are any teachers out there who haven't taken advantage of the free, BPL Connections workshops, I highly recommend them. There's also a Connections workshop for parents coming up, on November 23, at Grand Army Plaza. Sign up here. From $279,000 ('13), to $900,000 ('15), to a current Trulia listing at $2,900,000. 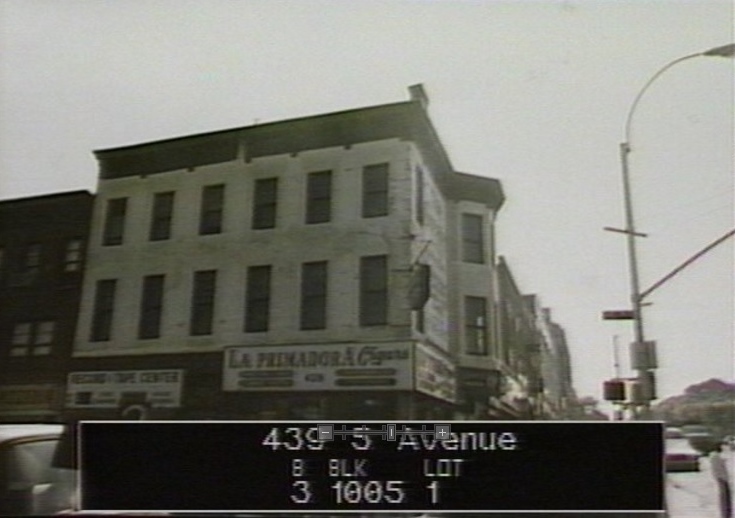 Demo plans have been approved for 488 Fourth Avenue (above, second from left). Earlier this year plans were filed (still pending) for a ten-story building to replace the three-story multi-family. 488 was acquired by Righteous of Park Slope LLC in 2007, for $2,400,000. Earlier: Fourth at 11th Getting the Finger?